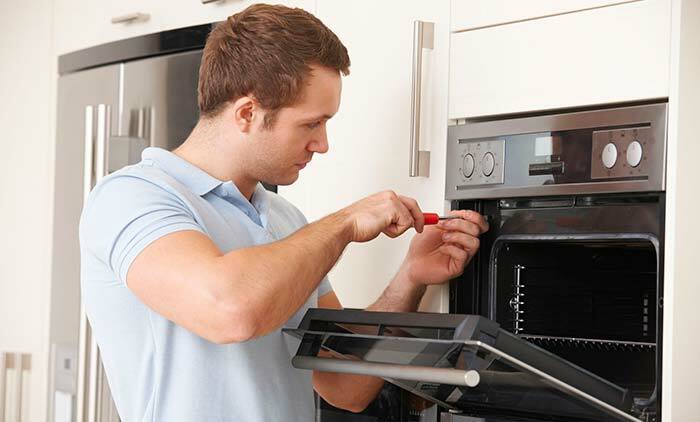 What Can You Expect To Pay For Professional Appliance Repair? Do you know what you’ll be paying when you need appliance repair work done? If you’re not prepared with some numbers in mind, you can get a nasty shock when it comes time to pay the repairman. Having a house can be pricey, and there’s a lot that you have to be ready for. When you find out the expenses associated with appliance repair, you can plan appropriately. No home appliance lasts forever, but that doesn’t mean you shouldn’t be ready to repair it. Understanding the expense of repair work can save you from being overcharged. If a repairman requests an amount that appears much too expensive, you’ll know. We’ve assembled this vital overview of appliance expenses so you can remove the uncertainty from appliance repair work. Appliance repair work is hardly ever low-cost. So what makes it so pricey? Repair specialists have specialized knowledge and skill that comes at a rate. Although they may be able to target an issue in a matter of minutes, they can only do so because they have particular training and experience. We spend for specialized knowledge all the time. From physicians to wedding event organizers, people with special skills and services need time and money to get the understanding they need. When they have that skill, they can charge for it. For that reason, an appliance repair individual charging you $150 or $200 for what appears like a fast repair isn’t really trying to rip you off. For lots of services, that’s simply what it costs, and it’s like you can repair it by yourself. The cost isn’t for their time, but their knowledge. Remember that some repair work might look easy to you, but it can be challenging to identify and repair. 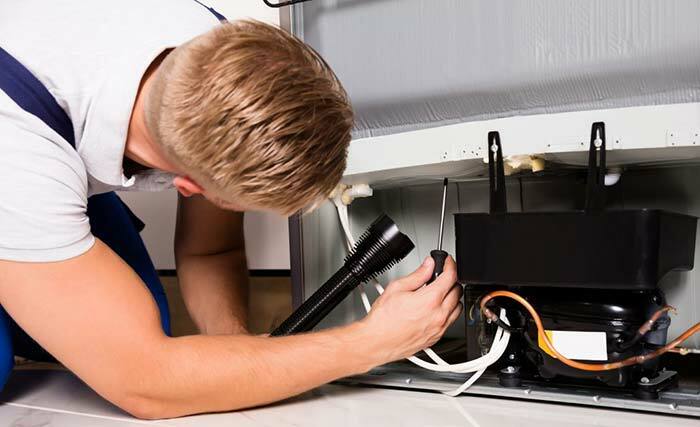 The very best appliance repairmen will describe what’s happening with your home appliance, so you do not get left in the dark. Nevertheless, they may need to simplify their description to help you understand. Bear in mind that you’re not being charged just for parts and labor to repair your home appliance. You’re also being charged for training, tools, and insurance – all things that any local appliance repair business must have. The majority of the time, the service technician will charge you a flat rate for finding out what the issue is. Then, they’ll charge for what’s required to repair it. If the repair requires them to come back, a lot of technicians will not charge for the additional trip – just for the labor and parts. For typical appliances, you can anticipate to pay about $70-$80 for a job. However, if you have high-end devices, you can pay as much as $120 per job or more. You may encounter a repairman who is charging far less than anybody else. Bear in mind that you get what you pay for when it pertains to appliance repair. You may get a much lower quality of work if you’re paying a much lower rate. Be suspicious of anybody who provides totally free service calls as there’s most likely a catch. The service call might not be too expensive, but remember the cost of appliance parts can be high. In the past, devices didn’t have as many electronic parts. Now, most appliances generally have integrated computer systems. The “smarter” your device is, the more pricey parts are going to be. Also remember that no appliance repairman can have every imaginable part on hand at all times. Even if they concentrate on a particular sort of device, there are a lot of different designs that require specialized parts. This implies that appliance repair work can be both expensive and slow as you wait on parts to come in. Should You Repair Your Appliance Or Get A New One? According to Consumer Reports, if fixing a device costs over half of the cost of new one, you shouldn’t bother with repair work. It’s smarter to purchase a replacement. If your home appliance breaks multiple times, you may find that it’s better to get a new one. For instance, it may be better to change your waste disposal unit if it has broken over two times. You can rapidly waste the same cost of a brand-new device on repair work if you’re not cautious. Regardless, you might not know what the repair work is going to cost until the service technician takes a look. You can investigate online to learn what repair work for your appliance may cost. Keep in mind there’s no guarantee that you’ll find the answer you’re looking for. There are a couple of things you ought to understand prior to calling a professional, however. Initially, you need to know what your appliances warranty is. Know what’s covered under the service warranty, and whether it’s still valid. It’s a great idea to keep a copy of all your appliance warranty papers in a filing cabinet or save them in a flash drive for your computer. Your appliance repair professional will have to know about the device’s brand name, design, and identification number. Keep the documentation for your appliance in the same place as the warranty papers so you can quickly find it prior to calling. Understand how you’re going to pay and have payment money set aside. If your finances are tight, inform your professional that you’re on a minimal budget plan prior to the repair beginning. Some may be able to work something out with you. However, they definitely won’t be happy if you wait until the job is done to tell them you can’t pay. How Long Should the (5 MOST COMMON) Appliances Last?